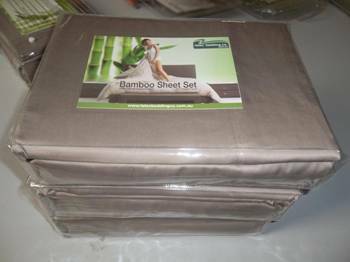 Bamboo fibre is the most environmentally gentle and responsible fabric that can be used today. Synthetics are not renewable and are sourced from oil. Cotton is a renewable plant fibre but it is an intensive crop to grow and even organic cotton still uses a lot of irrigation water and fossil fuel energy in its agricultural production. It is an annual crop requiring cultivation and planting each year. Bamboo is a perennial grass and is the fastest growing plant on the planet, some growing 30 metres in 90 days. The bamboo used for fabric comes from China and uses no pesticides or artificial fertilizers. It is grown in areas of high rainfall, not irrigated and is used in stabilizing the soil, preventing soil erosion. It is harvested every 2-3 years, a fully renewable resource. Processing involves pulping the stems and extruding a fine filament which is then spun into the thread. Mainly it is chosen because the finished fabric has such a lovely, silky soft feel but it also has outstanding antibiotic properties: bacteria and fungi (moulds) simply do not like to grow in the bamboo fabric. This is why it keeps such a fresh clean smell compared to cotton or synthetics. 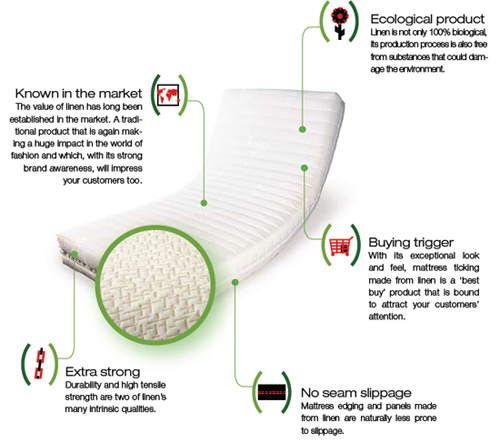 The cover for the Perfect mattress is natural bamboo made by Innofa, a leader in the European market for knitted fabrics. The fabric includes an amazing air flow layer, a matrix of vertical fibres providing outstanding ventilation. The quilting is Climawatt, a new revolutionary material especially developed to transport moisture away from the body, similar to the specialist sports and cycling fabrics. Climawatt® perfectly absorbs breath and perspiration, distributes it equally over the bed surface and evaporates it systematically. 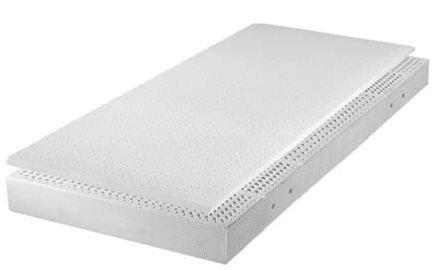 The Madrid mattress is enclosed in a cover made from natural Bamboo fibre, which has a lovely touch and is naturally bacteria and fungi resistant. Bamboo is a renewable resource grown in sustainable plantations. 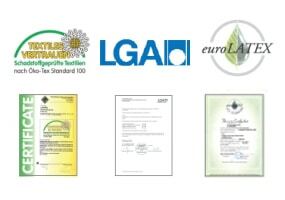 Unlike other materials, it needs no pesticides. The Euro is enclosed in organic linen. Of all natural fibres, linen is the strongest and therefore lends itself extremely well to the manufacture of mattress ticking. The tensile strength of linen yarn is over 11 times greater than that of cotton. Linen yarn is naturally dirt resistant and keeps its shape very well. Linen can absorb 20% of its weight in moisture before it starts to feel damp itself. It also wicks away moisture very effectively so that it stays fresh and dry to the touch. The cover for the Danube is Coolmax, a fabric known for its moisture management properties.The fabric can move perspiration away from the body where it can evaporate quickly, keeping you dry and cool.